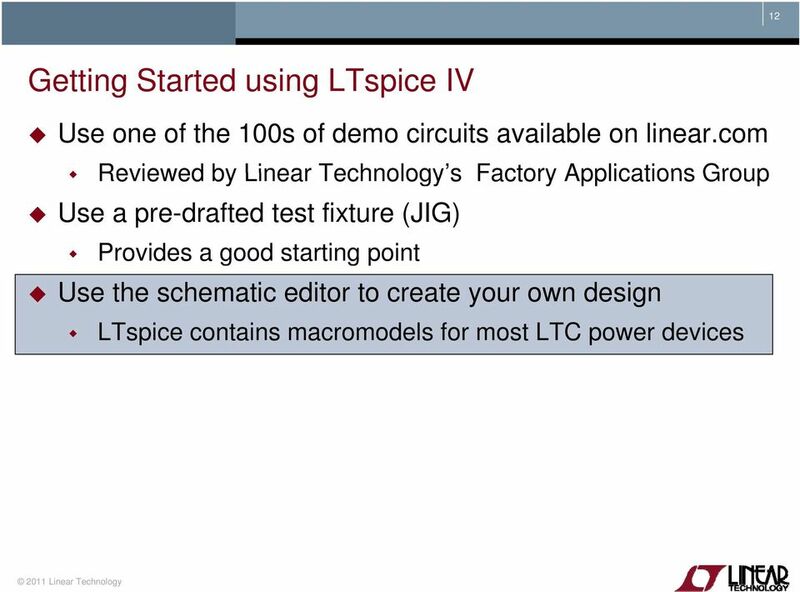 Copyright 2011 Linear Technology. All rights reserved. 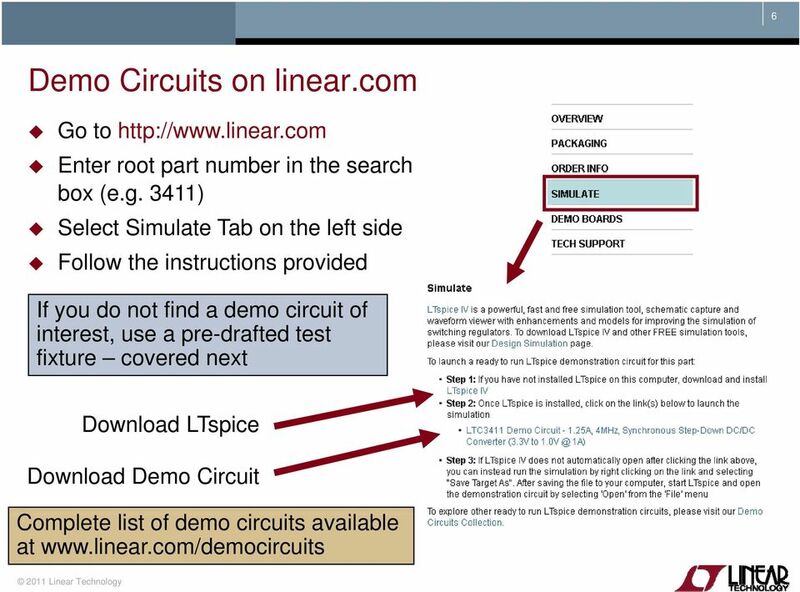 Download "Copyright 2011 Linear Technology. All rights reserved." 43 Simulate a Transient Response in a SMPS Advanced Topic Copyright. All rights reserved. 46 Simulate a Transformer Advanced Topic Copyright. All rights reserved. 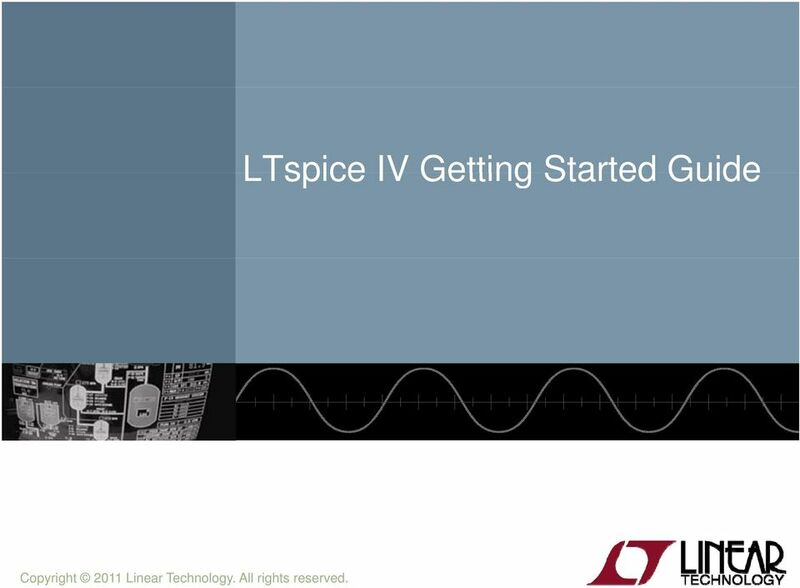 LTspice Guide. 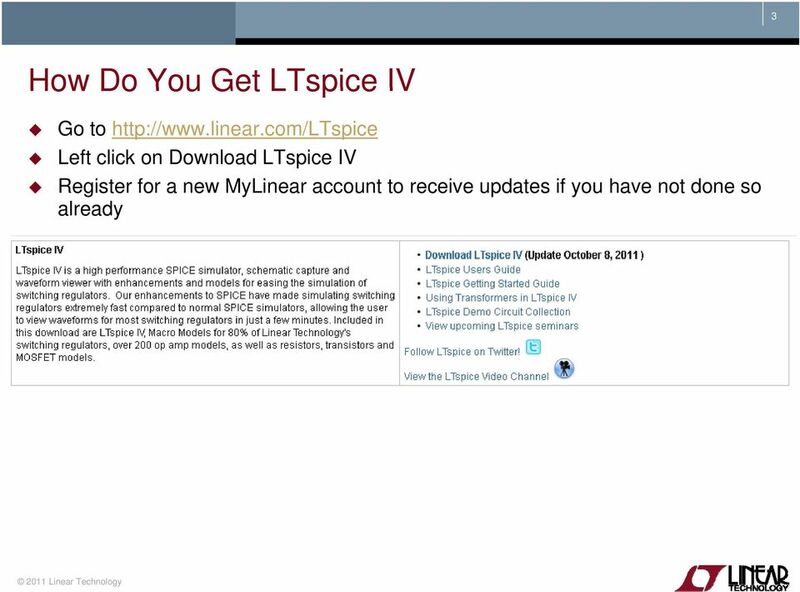 Download LTspice from along with the Users Guides if you wish. 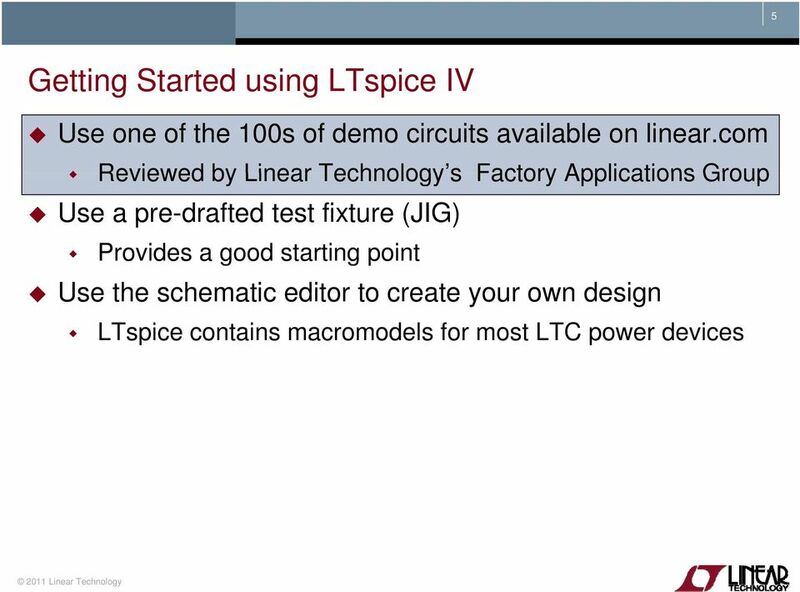 LTspice Guide LTspice is a circuit simulator based on the SPICE simulator and available as a free download from Linear Technology (www.linear.com). 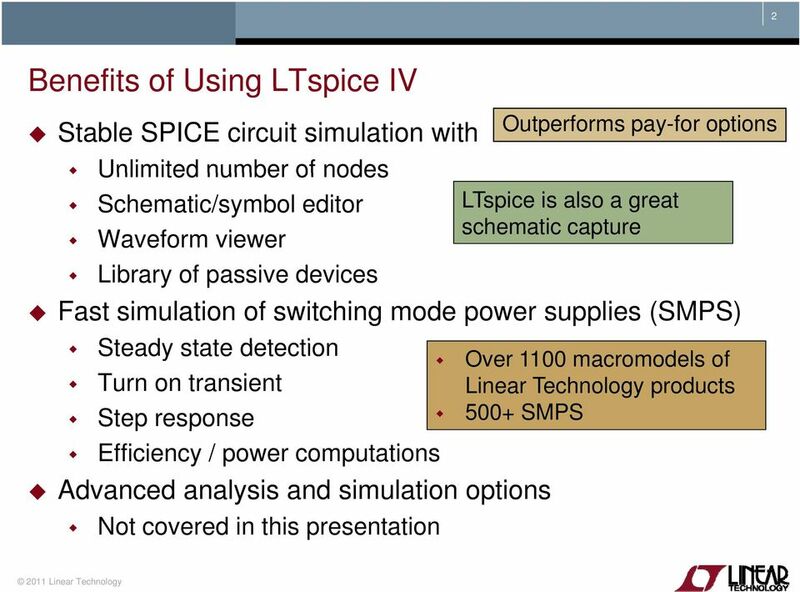 LTspice is the most popular freeware SPICE simulator. 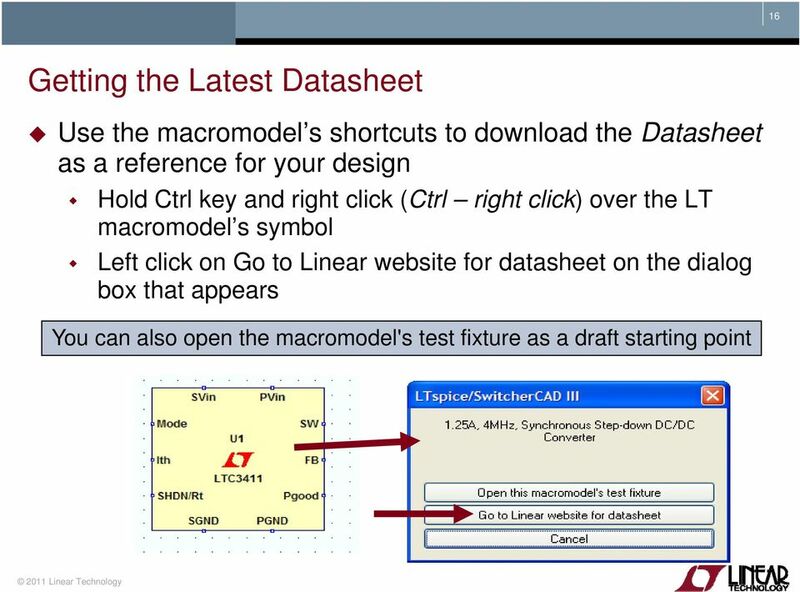 Cadence Tutorial A: Schematic Entry and Functional Simulation Created for the MSU VLSI program by Professor A. Mason and the AMSaC lab group. School of Electrical and Information Engineering. The Remote Laboratory System. 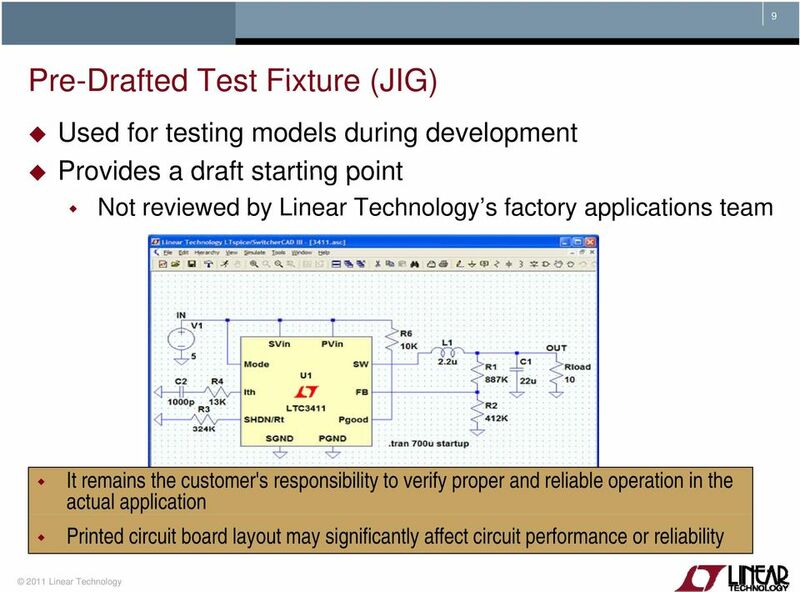 Electrical and Information Engineering Project 2006. The example uses hierarchy to make a ripple carry adder for a pair of three bit binary values. 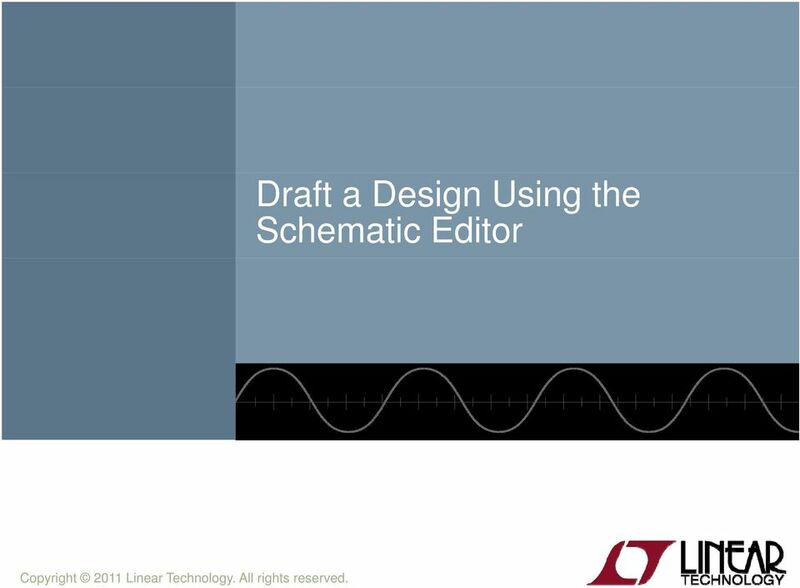 KiCad Hierarchy Tutorial x01 This is an early draft of a tutorial, introducing how to use KiCad to draw hierarchical schematics. 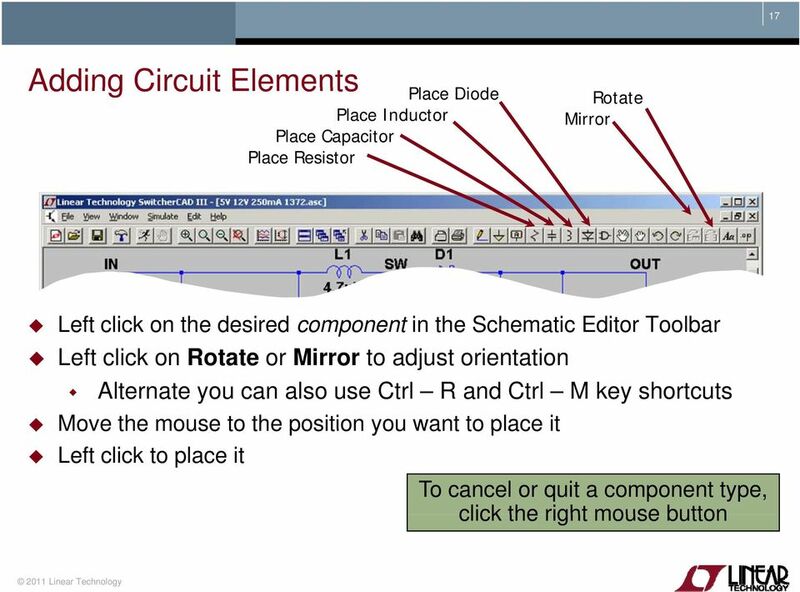 This tutorial is still in the writing phase. Your comments will be appreciated. MATERIALS. 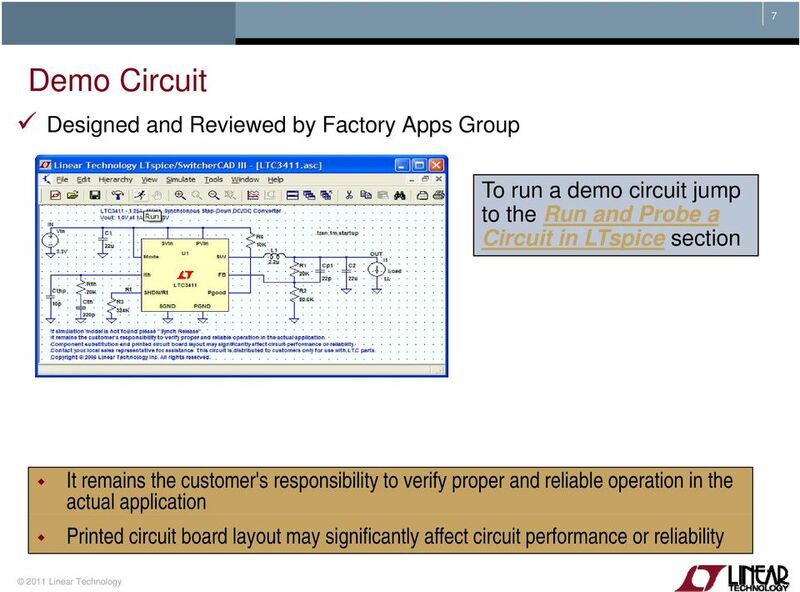 Multisim screen shots sent to TA. 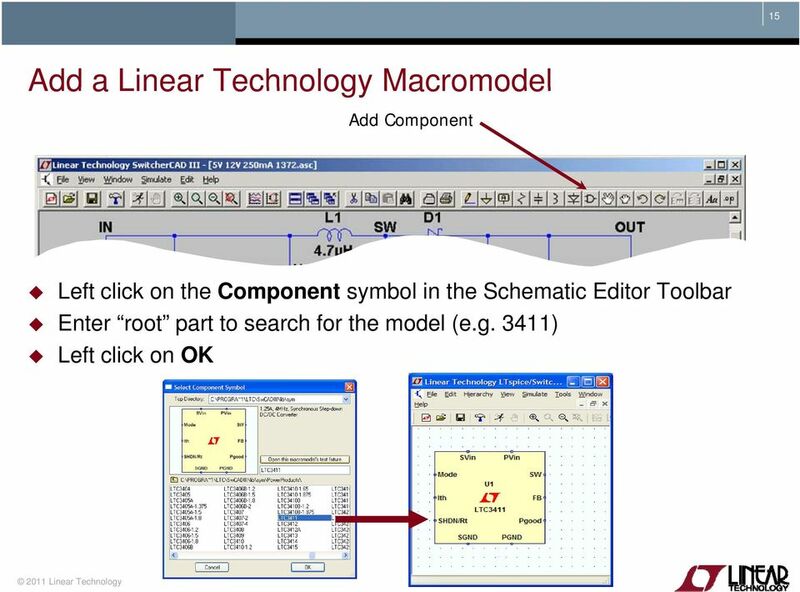 Mentor Tools tutorial Bold Browser Design Manager Design Architect Library Components Quicksim Creating and Compiling the VHDL Model. 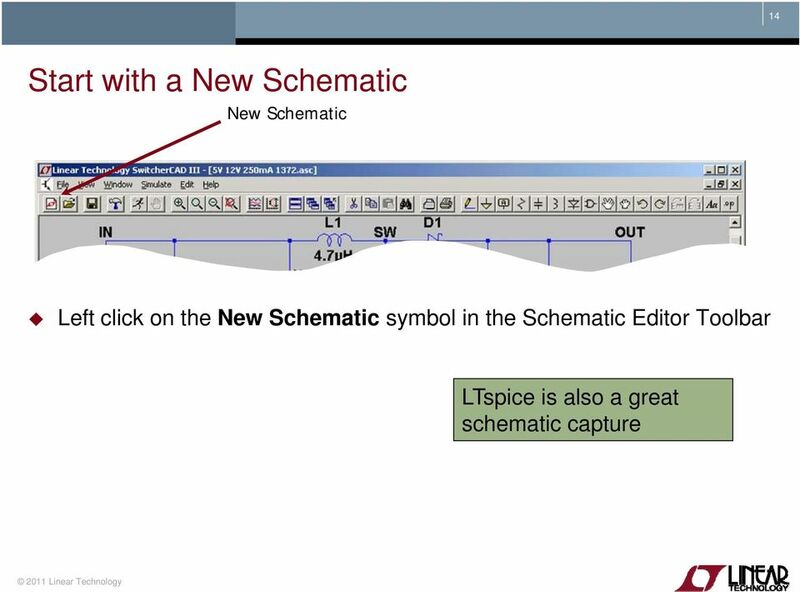 Mike Kelsch January 2007 This tutorial gives some techniques for creating Subcircuits and Hierarchical Blocks using LTspice /SwitcherCAD III Version 2.19p (available free from Linear Technology at: http://www.linear.com/company/software.jsp). 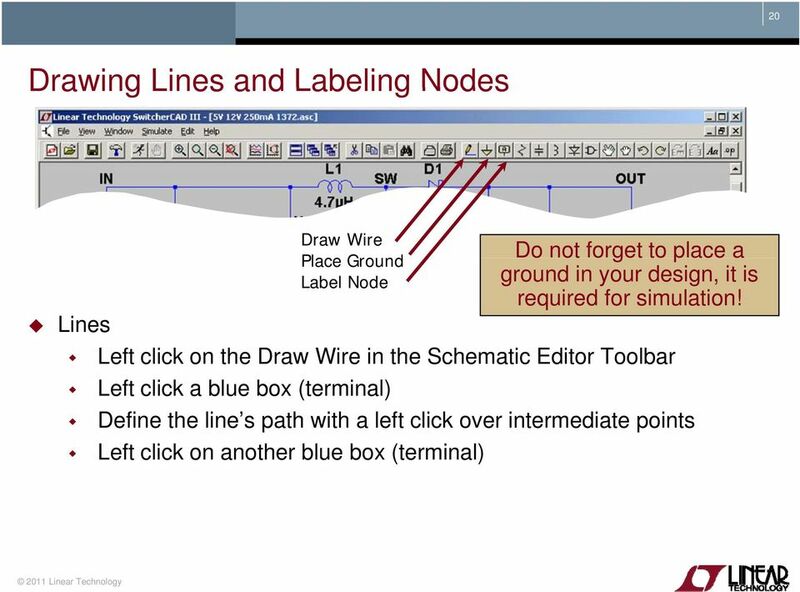 Working with Visio Connectors Overview Connectors are lines that connect your shapes. 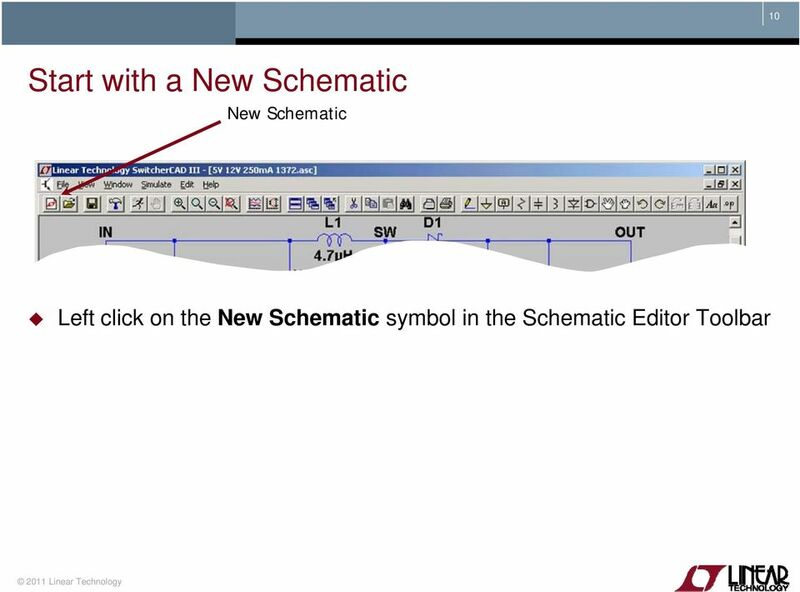 Once a connection has been made, when the shape is moved, the connector points stay connected and move with the shape. 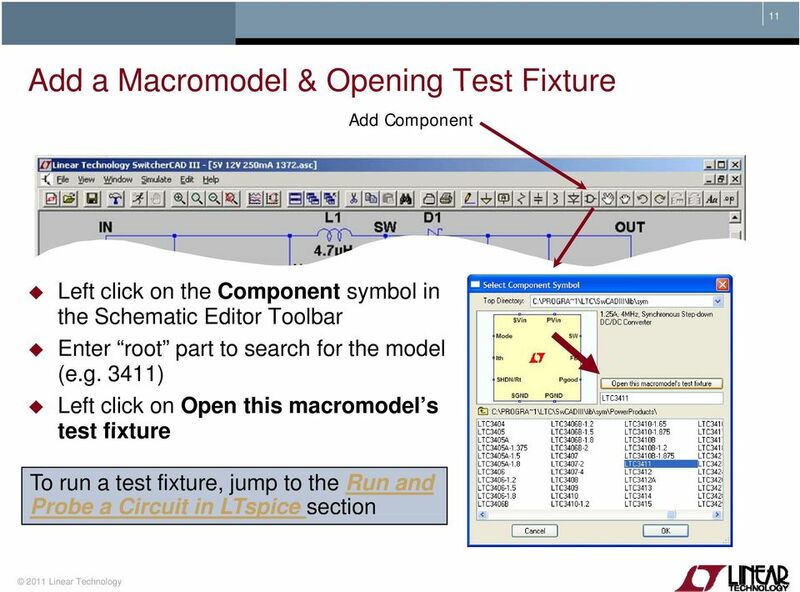 MS WORD 2007 (PC) Macros and Track Changes Please note the latest Macintosh version of MS Word does not have Macros. Cadence Tutorial I. 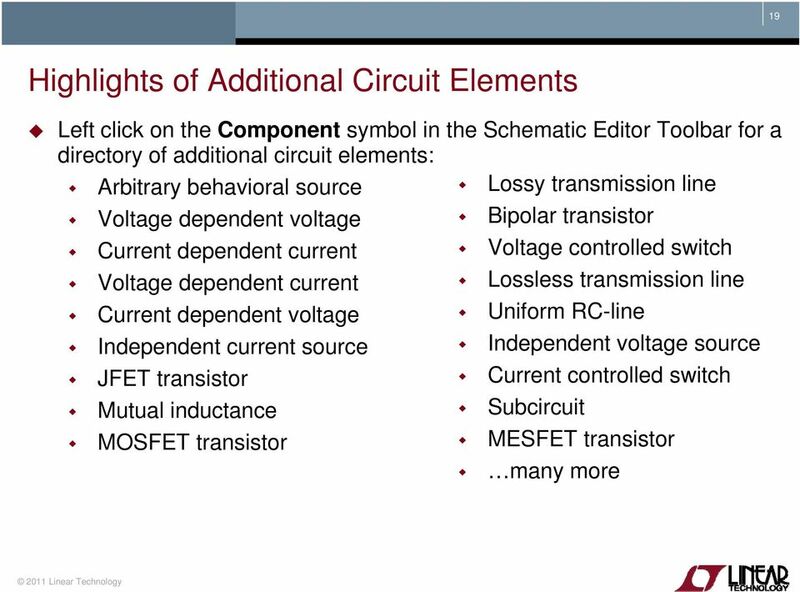 Introduction This tutorial provides an introduction to analog circuit design and simulation with Cadence, and covers most of the features that are relevant for the homework assignments. 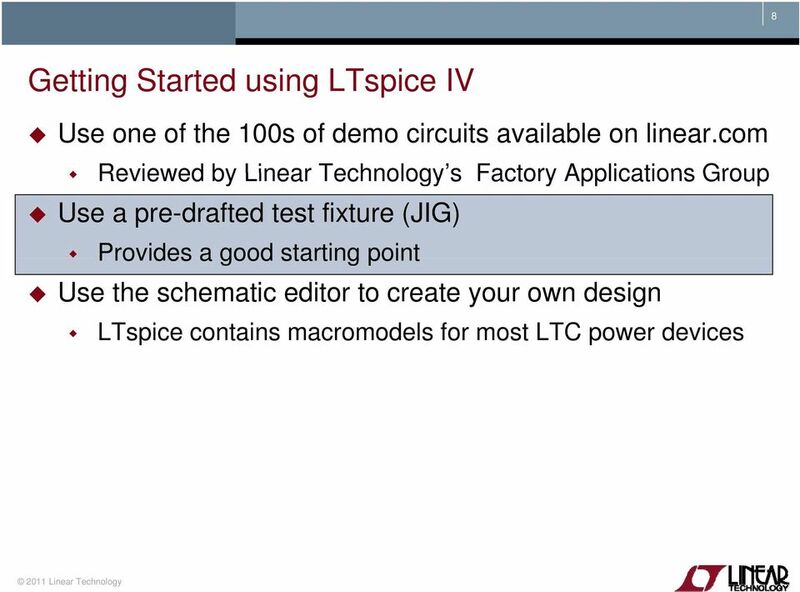 Step 1 of 10: Introduction This tutorial shows you how to design and make a test probe with PCB Wizard. 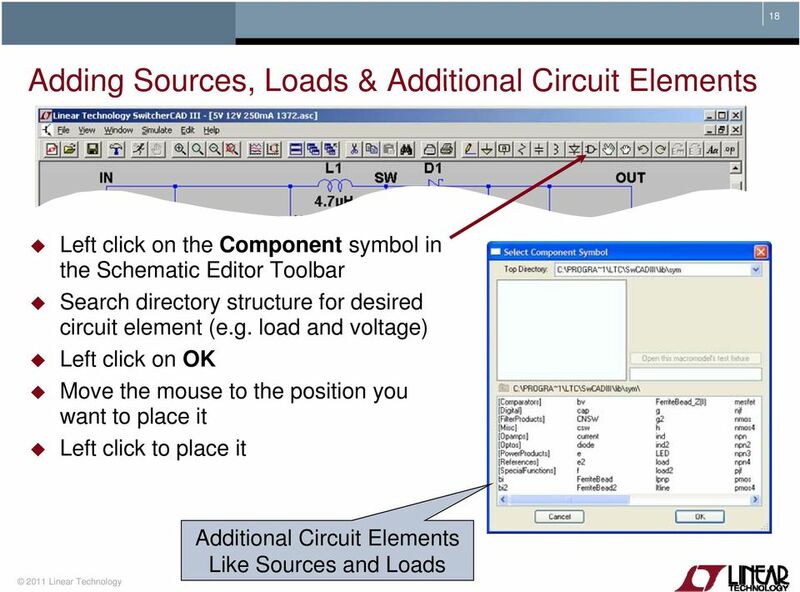 You should follow this tutorial to learn the basic skills you will need to use PCB Wizard effectively.